Examples, solutions, videos, worksheets, stories and songs to help Grade 8 students learn about experimental probability. 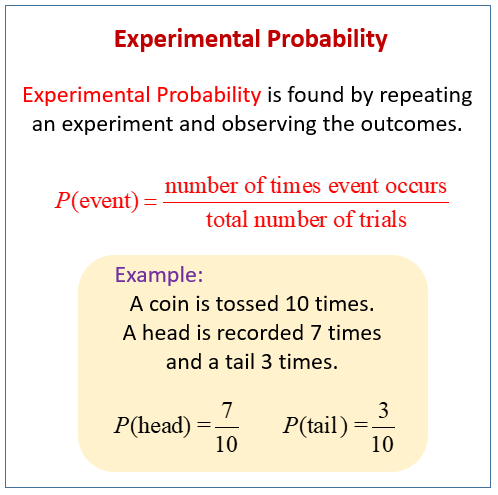 The following diagram shows what is meant by experimental probability. Scroll down the page for more examples and solutions. Students learn that probability can be found by conducting an experiment.